The European Parliament and the Council will soon negotiate a revision of the Dublin regulation, concerning the EU’s asylum system. This is an opportunity for the EU to develop a more humane system based on objective criteria, and for every member state to take its share of responsibility, writes Cornelia Ernst. Dr Cornelia Ernst is an Member of the European Parliament for the German leftist party Die Linke. She is a spokesperson for her parliamentary delegation and a member of the Committee on Civil Liberties, Justice and Home Affairs (LIBE) in the European Parliament. In preparing the new Dublin reform, Ernst was the shadow rapporteur for the left-wing group in the European Parliament GUE/NGL. There is broad consensus that the EU asylum system – also known as the Dublin regulation – needs to be radically changed. Almost three years since the height of the refugee crisis, thousands of people fleeing abuse and persecution remain stranded in squalid camps in Greece or are drowning at sea. We have not only failed them, we have failed ourselves, having all but abandoned mutual solidarity between member states, a core principle upon which this Union is built. Refugees and their lives have become the object of a political blame game, fuel for far-right populism and xenophobia. The EU’s fundamental approach to asylum draws from its history of successive wars and our collective determination to prevent these horrors from repeating themselves. European countries were at the forefront of the establishment of the current international regime for the protection of refugees, the 1951 Refugee Convention. Today we stand at a crossroads. The European Parliament and the Council will soon negotiate revised asylum rules. The outcome risks being hijacked by the new so-called illiberal democracies of Europe and far-right voices who wish to see Fortress Europe become our new model. Reform of the Dublin Regulation is high on the agenda of EU interior ministers in Luxembourg this week. The new far right and populist alliance in Italy will make negotiations in the Council more difficult. It remains to be seen whether the Council will find agreement by the end of June for the negotiations with the Parliament to start. More worrying however is whether the Council’s position will take a conservative turn, creating a possible unsurmountable gap with the Parliament’s more progressive approach. This is an opportunity to put Europe back in its leadership role and grab this opportunity to develop a more humane system that is in line with our obligations under international law and lives up to the principle of solidarity. The main feature of the existing Dublin regulation is that applications for asylum must be considered in the first country of entry. This has had a negative impact on asylum seekers and member states, encouraging clandestine secondary movements as we’ve seen with the so-called “Balkan route”. The current system is also very costly for already overstretched countries (like Greece). In addition, some member states are allowed to completely shirk their responsibilities towards the Union with no consequence. The Commission’s new proposal reinforces this failed approach. What Europe needs is a centralised asylum system that is based on objective criteria, considers the specific circumstances of each asylum applicant and does this in a fast and efficient manner. The system should incentivise countries to fairly share the responsibility of protecting refugees. Countries that meet their obligations should have privileged access to EU funding, less co-financing or the possibility to deduct the costs from EU deficit rules. One example of how the existing rules have failed asylum seekers is the issue of family reunification. There are currently thousands of asylum seekers stuck in Greece waiting to be reunited with their family members, living mostly in Germany. Many are minors and they have been held hostage to political wrangling between the two countries and to paralysis in a reconfigured Merkel-led coalition that is hostile to their plight. The standstill would have been resolved with the proposals the Left has put forward and that have been included in the European Parliament’s latest draft text. We envisage an impartial and centralised assessment of the applications that is shielded from political shifts in member state governments, based on objective criteria respecting the needs and wants of asylum applicants. The required paperwork for family unification in this scenario would be processed after reunification has taken place. Sanctions would apply for cheating applicants. However, we know from experience that these cases are a tiny minority and so it does not make sense, as is the case now, to build our asylum system on the logic of suspicion. This new approach would drastically reduce bureaucracy and almost eliminate clandestine secondary movements between member states. 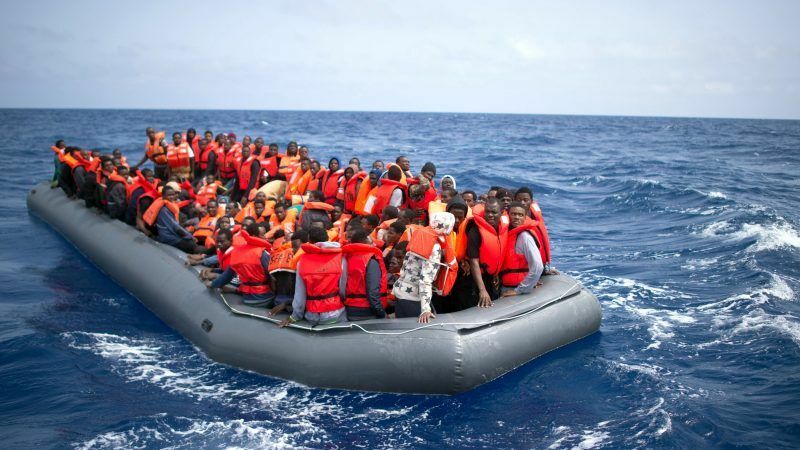 For the first time in years, there is a majority at the European Parliament in favour of ditching the old, and highly problematic, Dublin asylum system and moving towards honouring the EU’s responsibility to uphold international protection and solidarity between member states. The main obstacle is the intransigence of some governments. The question remains whether they will rise to this historic opportunity to establish a fair and workable asylum system.